Shane Wright has become the sixth player to be admitted early entry into a Canadian Hockey League draft under the exceptional-player rule. The Ontario Hockey Federation announced Friday that the 15-year-old forward from Burlington, Ont., will be eligible for the Ontario Hockey League draft on April 6. The exceptional-player rule was created in 2005, allowing players to apply for early entry. A panel determines if the application is approved. Four players — John Tavares, Aaron Ekblad, Connor McDavid and Sean Day — have received exceptional-player status in the OHL, while Joe Veleno is the lone Quebec Major Junior Hockey League player to have earned the distinction. The Western Hockey League has not yet had a player under the rule. Tavares, Ekblad, and McDavid all went first overall in OHL and NHL drafts. Day was picked fourth overall in the OHL draft and in the third round (81st overall) of the NHL draft, while Veleno was first overall in the QMJHL draft and just inside the first round (30th overall) of the NHL draft. 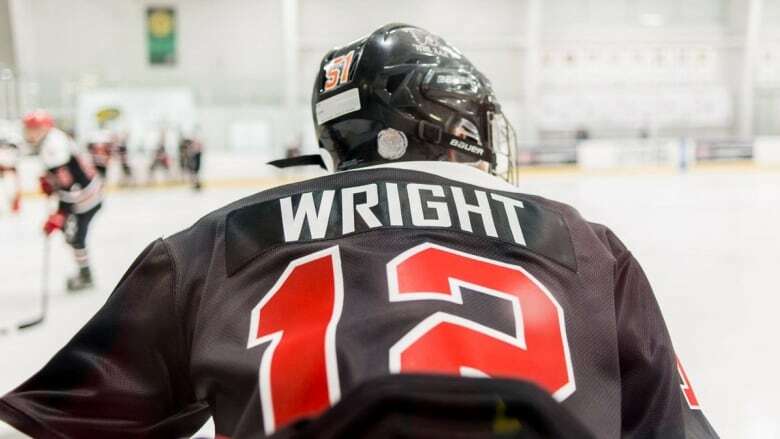 The six-foot, 183-pound Wright has 66 goals and 84 assists in 72 games with the Toronto-based Don Mills Flyers minor midget team. He also had six goals and six assists in 12 games for Team Ontario at the Canada Winter Games last month in Red Deer, Alta.